Good news! Our Clematis armandii is back from its travels. Last May I reported its escape from our garden, but the adventurous vine has now scrambled so high into our neighbour’s trees that we can appreciate the deliciously scented white flowers again. 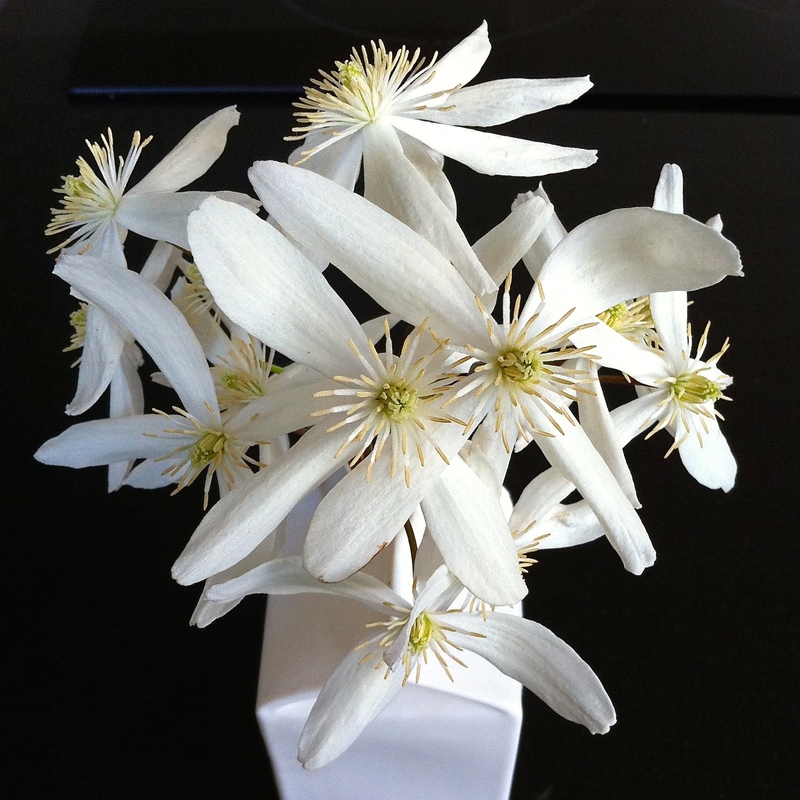 A mild winter suited this slightly tender clematis; the flowers are the most abundant I can recall. The same goes for those I have seen scrambling over walls and up houses around Hampstead and Highgate. At the weekend I picked a couple of generous sprigs to bring inside. They looked wonderful in a simple ceramic vase but, alas, only lasted a day. The single, pure-white blooms remind me of wind turbine propellers – simple, elegant and beautiful from afar. It is a lovely clematis. I have lost a couple over the years in really hard winters but I always replant it. You are right this mild winter has really suited it, mine has never been as good. What lovely picture, I really enjoyed this post.